Wholesale Jewelry From China----There are more than 10000 styles of fashion handmade Jewelry on Aypearl.com ! We are famous china jewelry supplier and can supply all fashion jewelry at wholesale price ! All of our products are handmade and we try to keep the natural features of each product while cutting and carving. There will be some color difference between the real items and the pictures because of the brightness, contrast and resolution or other factors. So the color difference is inevitable in some degree. We can supply Cluster Style Branch Shape White Devil Coral Earrings with comparable price. 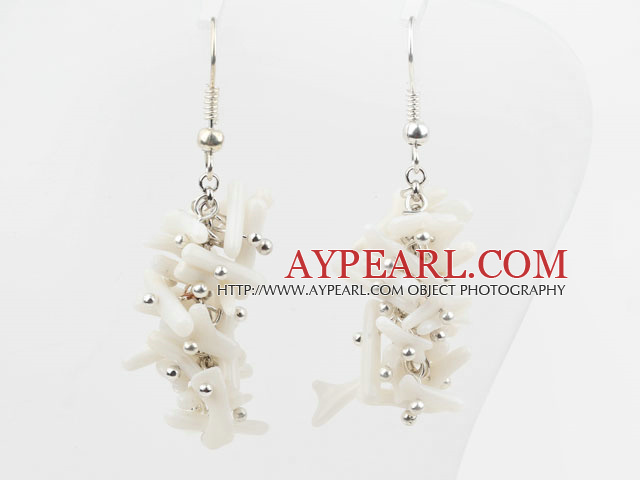 Welcome to wholesale Cluster Style Branch Shape White Devil Coral Earrings from Aypearl.com!!! You may find more similar products related with the keywords of this item. See other " Cluster " items. See other " Branch " items. See other " White " items. See other " Devil " items. See other " Coral " items. AYPearl.com - Wholesale Jewelry and Handmade Jewelry Center from China.